When your vehicle is tuned, you will receive the highest possible performance and gas efficiency while driving. If your vehicle is due for a tune-up, our expert mechanics at Motor Car Mall can help. 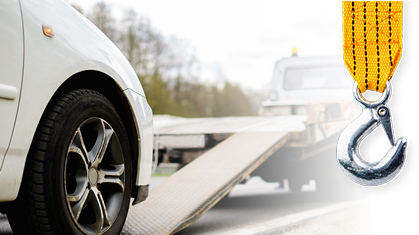 If you are unsure if your vehicle is due for service, we will check your vehicle’s factory recommendations and guide you through the service intervals. Aside from these intervals, there are also some signs that your vehicle may be due for a tune-up. Any of the signs above can indicate that it’s time for a tune-up. A tune up usually will consist of changing your vehicle’s spark plugs, engine filter replacement, comprehensive inspection of engine and fuel system, and adjustment of timing and idle. Tune-ups may vary depending on the make, model, and year of your vehicle. Our ASE certified technicians are experienced working with all makes and models of vehicles and will complete the tune-up based on your vehicle’s needs. A regular tune-up is very important when it comes to keeping your vehicle running in top condition and avoiding costly repairs later down the road. We back all of our mechanical repairs with our 24 month/24K mile nationwide warranty. Our auto repair shop in Peralta, NM, is dedicated to providing high quality auto repair at fair prices. Motor Car Mall is the trusted auto repair shop in Peralta, NM, and is committed to providing friendly and honest customer service. If you’re due for a tune-up or are experiencing issues with your vehicle’s performance, give us a call today to make your next appointment, or feel free to make an appointment using our online scheduler.